I once tried this too last year, but the icing of my cake was wet & I couldn't spoil it. So then God knows how much effort I put into making a stencil on A4 sheet & taping it from 4 sides, with just a little above the cake for sprinkling the powder on cake. Wasted some 1-2 hours, gosh! Wow, that's a lot of effort. 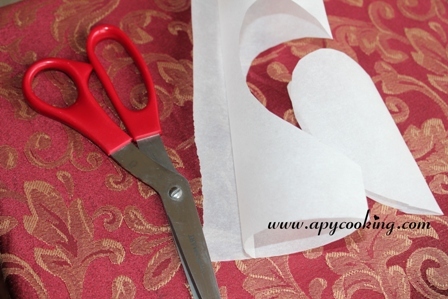 Use parchment paper, it sticks easily to the icing and can be peeled off easily too. 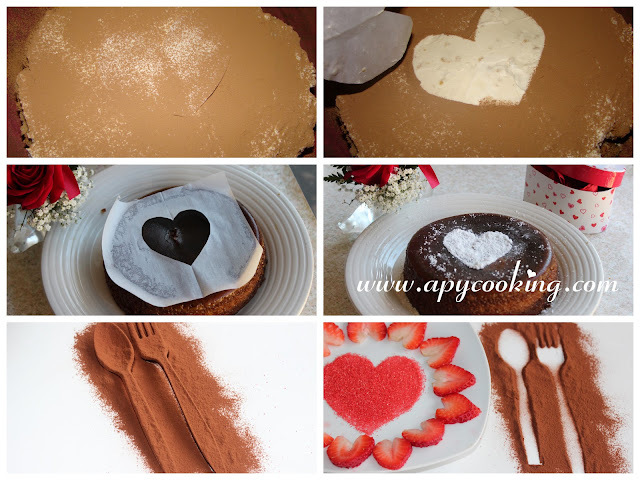 Thanks a lot for sharing this process of creating heart toppings on cake. ah ya valentine days coming up! 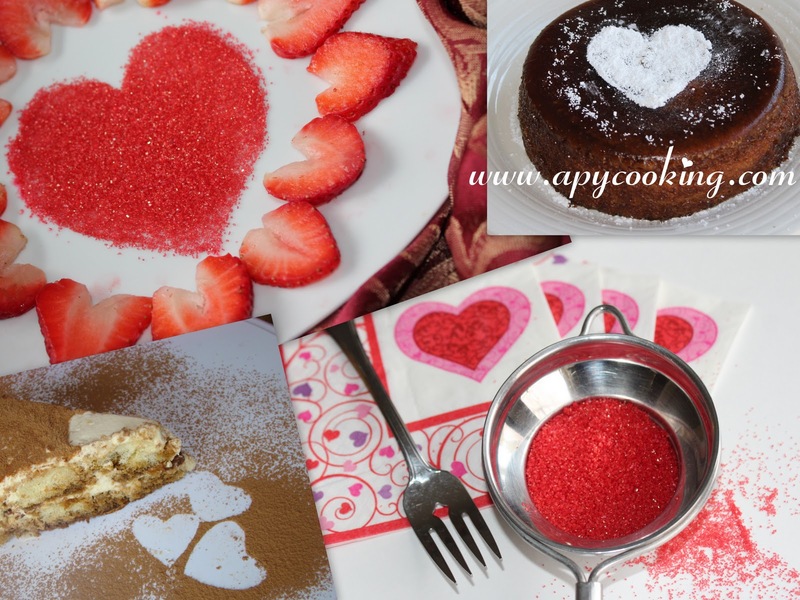 i like red sprinkles heart! 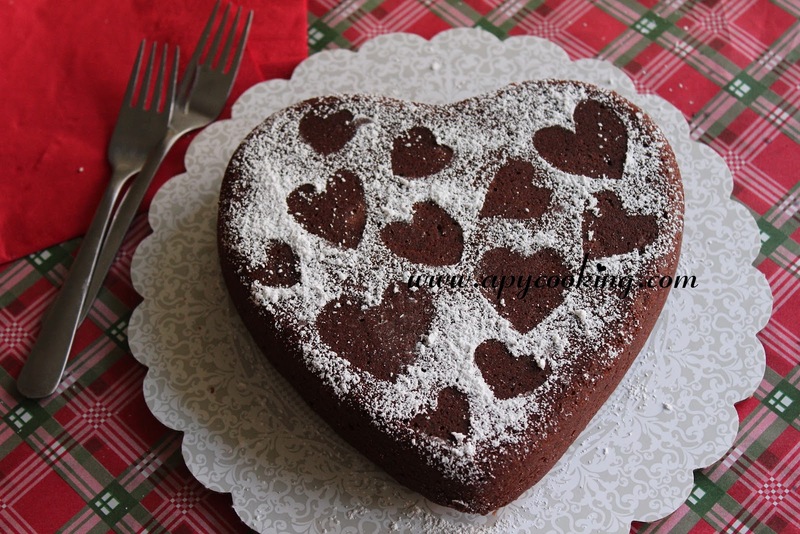 Gorgeous Cakes Vanni! They look simply awesome!